In today's real estate market, there is simply no substitute for a good realtor. Whether you're aiming to buy or sell property, we make the difference for a smooth transaction . With over 30 years of experience in Costa Rica, Latitude 9 has the experience and knowledge to assist you with all your real estate and development needs. The dedicated and knowledgeable agents at Latitude 9 can provide you with the highly specialized information that you will need to make the right decision. It's the combination of this unique market-knowledge and excellent negotiating skills that enable our agents to get you the optimal price for any property you plan to buy. As the Real Estate experts in this area of Costa Rica, we can provide you with helpful insights about the area, and can show you why owning real estate in Costa Rica is truly something to be desired. With a professional yet friendly approach, we help clients feel comfortable about what can be a stressful decision. Costa Rica is a small but extremely diverse country. Its climate, ecosystem, culture, lifestyle and infrastructure make it a unique place to live and do business. We choose to focus on the Manuel Antonio area due to its beautiful beaches, amazing tropical rain forest, exotic wildlife, fantastic ocean views, great restaurants, dynamic nightlife and the new 300 slip marina. Costa Rica has so many wonderful places to live and Manuel Antonio is at the top of the list. 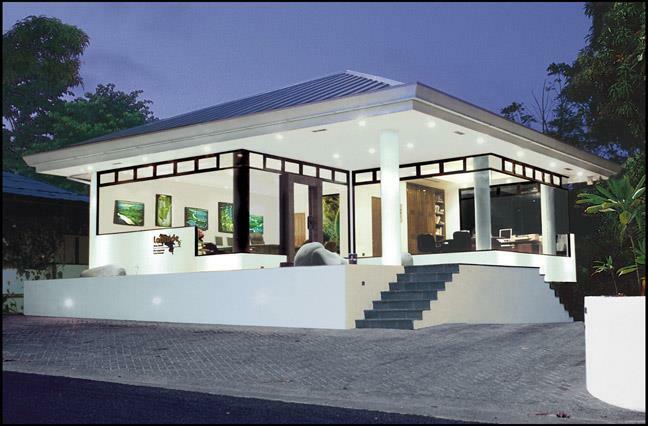 This is a tremendous time to be investing in Costa Rican real estate as the market is currently favorable to buyers. Here at Latitude 9 Realty we are dedicated to guiding you through the process of purchasing the finest properties available in the Manuel Antonio/Quepos/Dominical area. Whether you are looking for a high-end vacation rental home, beachfront villa, retirement condo, hotel or other acquisition, we are committed to making your transaction as smooth and cost effective as possible. Our professional, experienced brokers have an unwavering commitment to serving you, utilizing our knowledge of the area and local business climate. Finding the perfect property in the desired location may require patience and perseverance. We are willing to take the time needed to match you with your ideal property at the right price. We are here to listen to your requests and to discern your specific criteria in order to define your ultimate goal. Let us guide you through this truly exciting process. Let us help you secure your piece of paradise. We look forward to hearing from you. The information you provide to us will be held in strictest confidence and will NOT be shared with any other business. We will give priority to those complete and detailed inquiries, assuring prompt and continued communication. The more information you give us, the better understanding we will have to assist you. Serious inquiries only please.